In the early 1970’s I attended Saint Anthony’s primary school in Govan. Tradition was that when your teacher was off sick the kids in the class were divided amongst the rest of the classes within the school and for some reason I was normally sent to Miss Thornton’s class in Primary 7. Miss Thornton was a very intimidating individual who sat on an elevated chair behind a tall, elevated desk which made her seem even more foreboding as she stared down at you from a height with glasses on a chain perched on her nose. She terrified me and my classmates. The fascination with Miss Thornton’s class room was that she claimed that ‘James’ Craig (note she never referred to him as Jim) had once been a pupil in this class and as boys we were fascinated that one of the legendary Lisbon Lions had attended our school. We would ask which desk he sat at, she would point at it and we would make a dash to sit at THAT desk. It’s open to conjecture whether Jim ever did sit at that particular desk and perhaps Miss Thornton was teasing us slightly but the fact remains that Jim Craig went to ‘The Ants’ school and we were (and still are) deeply proud of it. Not many Celtic fans can say they had a Lisbon Lion at their confirmation but we could. 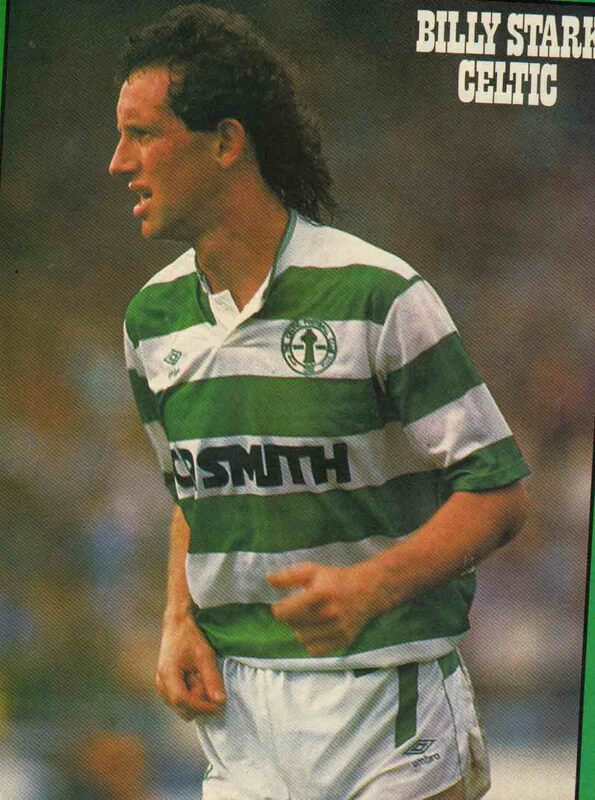 On that particular night the fuss was not over Bishop Renfrew but of the ex Celtic player. I recall someone claiming that Davie Robb of Aberdeen was also in the church that night. 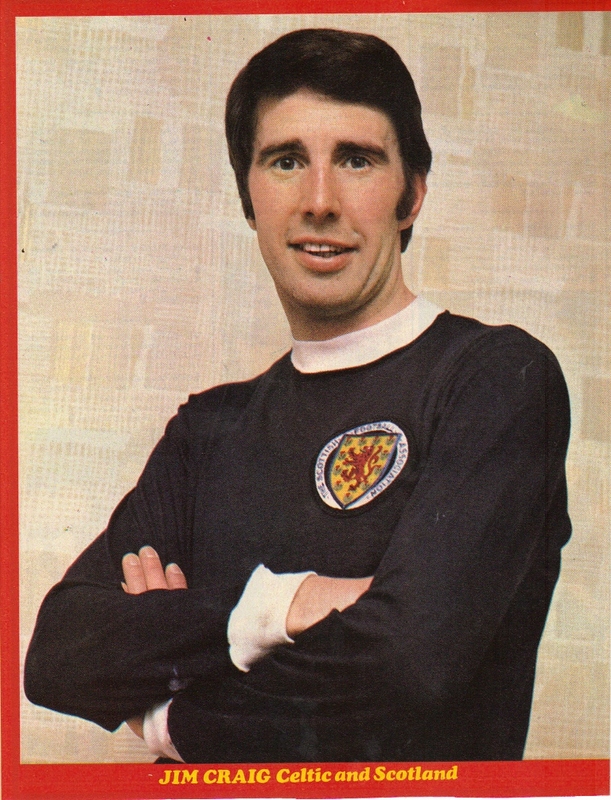 Now perhaps Robb had a Catholic relative in Govan (which seems highly unlikely) and anyone who recalls the bold Davie will remember him being a very distinctive looking but not particularly attractive individual, but this was the 70’s after all and men with huge sideburns and thick long hair were not unusual to see, not even those with bright red hair like Davie Robb’s. Perhaps there was some poor soul who had the misfortune to be Davie Robb’s twin but I doubt if it really was him in church that night. But what I do know is that Jim Craig was there. Craig was also a regular visitor to the school to distribute medals for football and other sports. He once asked me who my favourite player was when I was the right back for the school team and not a very good one at that. 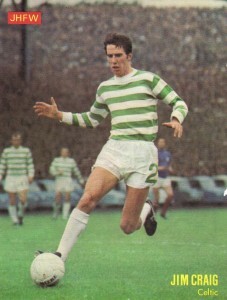 I replied that Danny McGrain was my favourite and he told me never to copy Danny, going on to explain that he was totally unique in his role and that he had never seen a better exponent of the slide tackle. I was confused at that time but in later years I would come to know what he meant because to this day I have never seen a full back like him. 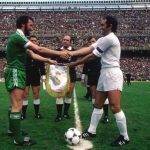 Danny McGrain was indeed totally unique. 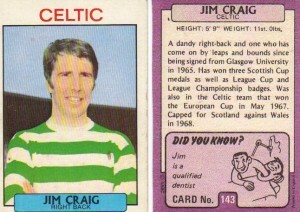 Many, many years passed on and the next time I came across Jim Craig was in the Shettleston Halls in early 1990 at a ‘Save Our Celts’ meeting. Note that this was even before Matt McGlone’s ‘Celts for Change’ came along. Jim was a guest speaker along with the legendary Glasgow lawyer Joe Beltrami and they both attempted to portray the importance of Celtic in our (the fans) lives. 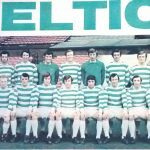 Jim regaled us with the story of how he and Jock Stein had attended a supporters club in the North of Ireland in the 1970’s. They were asked to visit a long time Celtic fan in hospital who had cancer and according to the doctors had only weeks left to live. 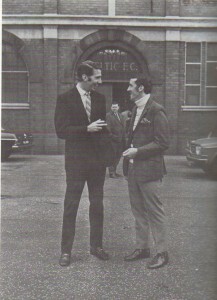 The man’s family were overjoyed at this visit and the two Celtic men spent some time in the ward speaking to the ill man. 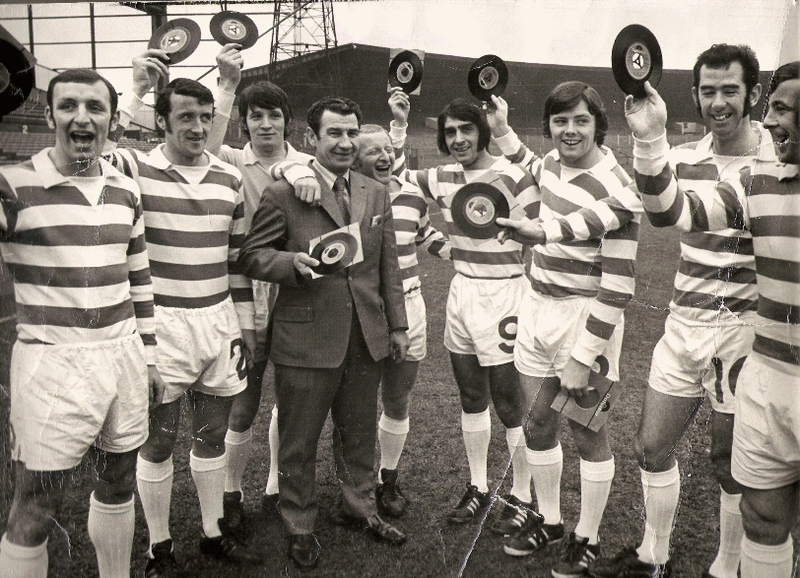 Before they departed they asked to be kept informed so that Celtic could send something appropriate to the funeral. A few months passed by and after training one day Craig asked Stein if there had been any word from Ireland. Jock said there had been none and that it was understandable that the family had forgotten to send word as funerals were private and emotional affairs. Another few months passed and eventually there came a letter from the man’s family informing Stein of his passing. 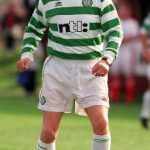 After having been given only weeks left to live he had gone on for a full six months and never tired of telling all and sundry how Jim Craig and Jock Stein had personally came to visit him in hospital. His family fully believed that this had lifted his spirits so much that it had given him a considerable extension to his life. Craig made the point in Shettleston that people often belittle the importance of football but that Celtic plays a huge part in the lives of so many people and this story had highlighted this fact to the full. 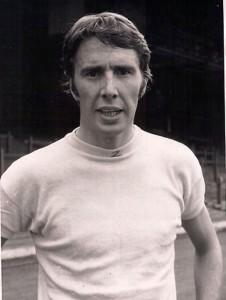 Jim Craig would have been one of the first working class boys to enter university in the early 1960’s in the post war education boom created by Harold Wilson’s Labour government, a generation earlier and he would not have got near the place. 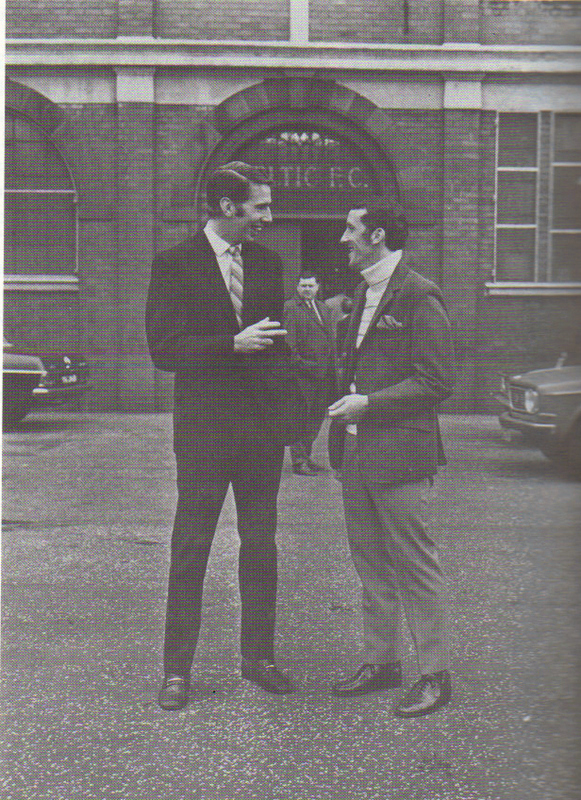 Big Jock could never comprehend that Jim gambled with his football career by choosing to finish his dental studies rather than accept a Celtic contract in 1965 and it’s reckoned that Jim was actually registered as an amateur player for a period. Craig was also a wonderful athlete and trained regularly in his local BellahoustonPark. 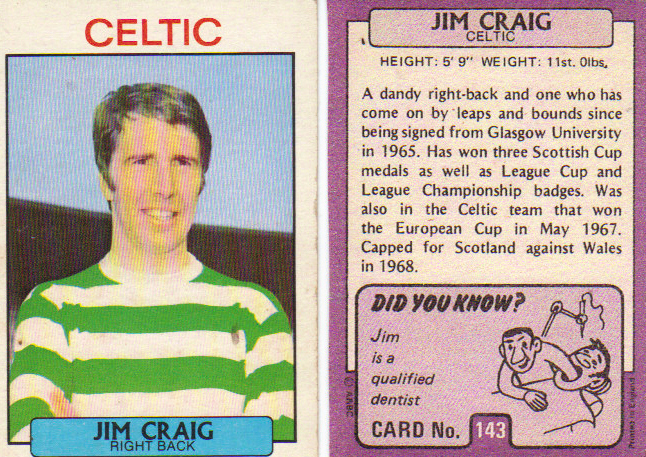 After falling out of the picture through his studies he was running one night in the park when he passed an old man out walking his dog (presumably a Celtic fan) who said, caustically, to Jim in passing; ‘So your no’ deid then, Craig’. 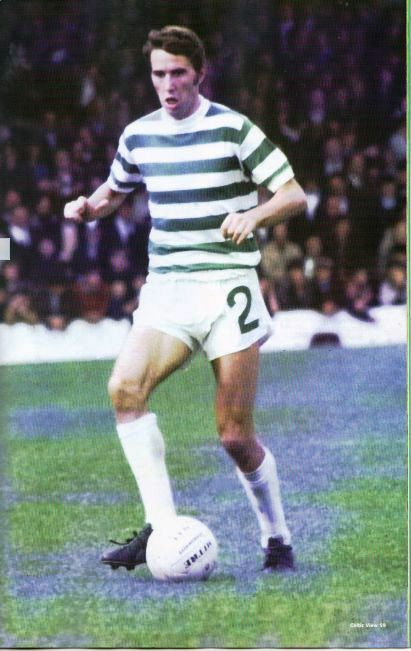 He was well out of the picture at Parkhead but was fortunate to return to the first team in January 1967 just in time for the wonderful events of that year. 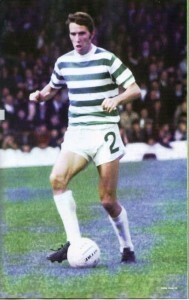 The right back was a wonderful servant to Celtic and although perhaps not as noticeable as his full back partner Gemmell he was a reliable and steady defender who had many notable contests with Rangers’ volatile left winger Willie Johnston, with Jim usually coming out on top, although the normally level headed Celtic man lost it on occasion when severely riled by the aggravating. Johnston. In the 1972 Scottish Cup final Jim Craig played his last game for Celtic in the memorable 6-1 demolition of Hibs. Jock Stein announced pre match to the team that this was to be ‘Cairney’s’ farewell appearance and the Bhoys suitably raised their game for the occasion by giving one of their best displays during Stein’s tenure as manager as a fitting tribute to the retiring Celt. The last Celtic goal that day is testament to Jim’s ability as he ran 50 yards to overlap Jimmy Johnstone, got to the bye line and squared a low cross for Lou Macari to round off the scoring. 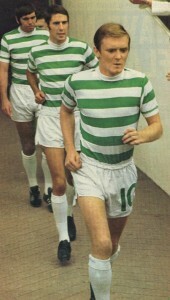 Few Celtic players have had the good fortune to go out on a higher note. The summer of 1997 was not a good one for Celtic supporters. 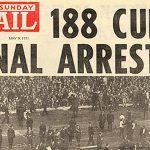 Rangers equalled our 9-in-a-row and they had so many players that the press gleefully told us that they could field three separate teams, one for Europe, one for the league and one for domestic cup competitions, meanwhile the ‘three amigos’ were in the process of plotting their departure from Parkhead. This year was, of course, the 30th anniversary of Lisbon and the Columba club in Renfrew had a charity night to celebrate the event. They were let down badly at short notice by a celebrity who was due to appear and they then approached Jim Craig who was at that time a dentist in the area. Jim came along, joined in and assisted in the charitable work, helping to save the day. As always he was a credit to Celtic, helping to raise morale by giving a rousing speech. My mind goes back all those years to that small playground in school where we learned to play football, with the shed poles improvising as one goal and the other goalpost painted on the huge gable wall opposite. Jim Craig would have learned to play there also and it is with deep pride that I say not only did my school produce a Lisbon Lion…but Miss Thornton would have been proud that we produced the cleverest one in the team as well. move into St Gerards Senior Secondary along the Govan Road. I recall , in fourth year at secondary school , playing for the school’s Former Pupils football team , and keeping goal behind the Bhoy in the Picture , Jim Craig ,who played a half dozen or so games for the FP team. I can only recall getting slaughtered by the big man who had no time for goalkeepers , particularly those like me who were more Gallus B’s than Gordon Banks’. Excellent schools then , St Anthony’s and St Gerard’s , but diving over dustbin lids when playing football in the school yard left it’s mark on my psyche I think.